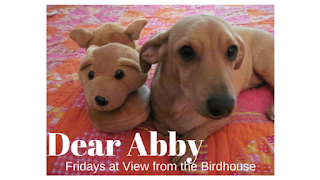 Dear Abby - Halloween with Dogs and Retro Fun - Lots of Links! Boo! Are you ready for Halloween? 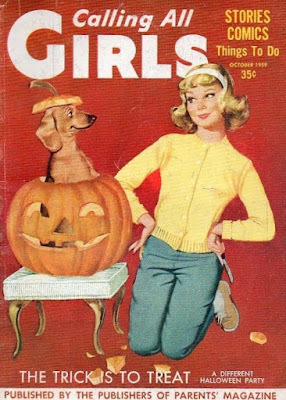 I am as ready as I can get, which means I will certainly be in the bedroom listening to happy music during all the noise of trick-or-treaters. I wanted to share some Halloween links with you. 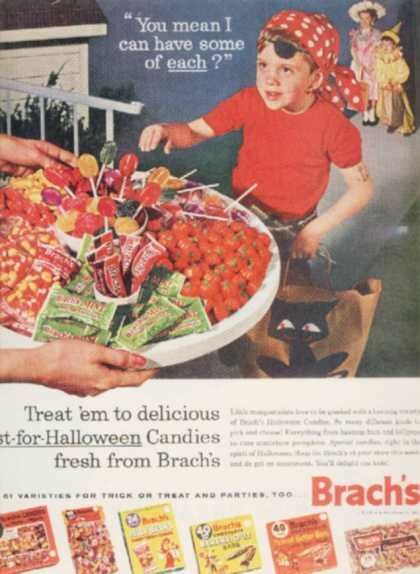 Some are my old Halloween posts, and others are retro themed posts by my Momma. I hope you enjoy them! 13 Great Halloween Songs That Aren't "Thriller" or "Monster Mash"
Do you have special Halloween plans? 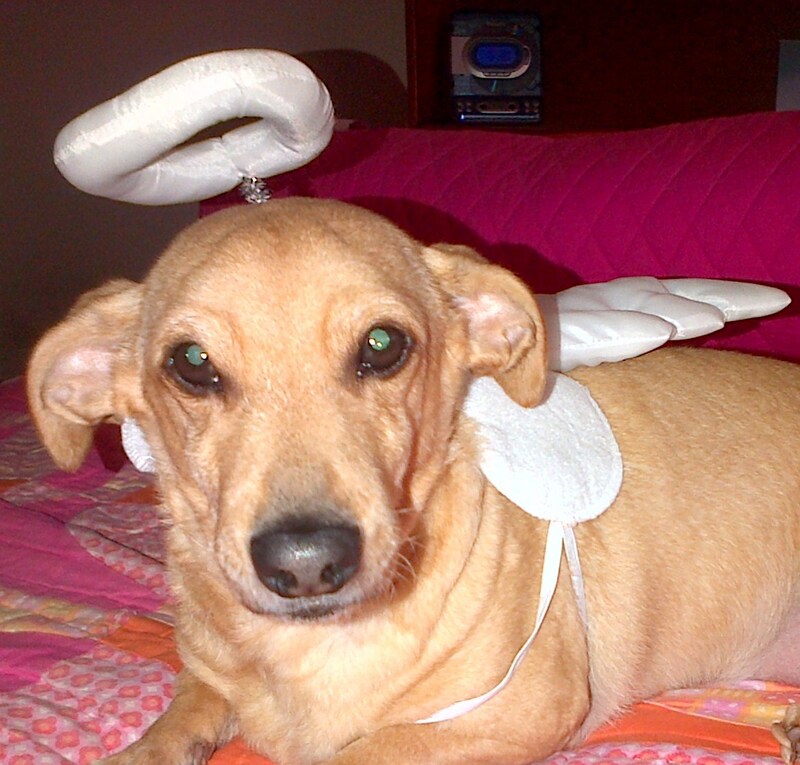 If you have pets, do they dress up for the holiday? What do they think of trick-or-treaters? I've love to hear from you in the comments, below! Lady of a Thousand Treasures begins in 1866 England. Eleanor Sheffield is an antiques appraiser and evaluator. She has been in business with her father, who is deceased, and her uncle, who is in the early stages of dementia. She is juggling her work and her strong feelings toward her former beau, Harry Lydney, when she is asked to evaluate the collection of Harry's late father and decide on its disposition. This is such a unique and engrossing book! It has several really interesting facets. Most of all I loved reading about Eleanor's work evaluating antiquities. There were so many fascinating details about the glassware and antique pieces featured in this novel. A mystery begins involving some missing and forged antiquities and I found that really compelling too. 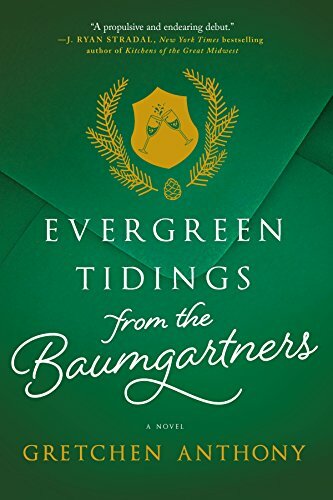 A good example of the type of details found in this novel: "I was delighted when I learned that monarchs, on coins, always face in the opposite direction from their predecessor. It started, my father taught me, when Charles the Second wanted to turn his back on Cromwell -- and so he did, on a coin, for all to see" (p. 43). The social issues raised by this novel, including women seeking to be recognized in professional positions and the plight of women in prison, were very thought provoking. The historical notes at the end of the book were interesting. I had no idea that Lady Charlotte Schreiber, antiquities evaluator, and Dr. Elizabeth Garrett were based on real people! I loved the personal details too -- Eleanor and her family with her uncle and her housekeeper (who is like family) and her back and forth relationship with Harry. Harry is an interesting romantic lead. He is presented in a multi-dimensional way and I went back and forth a few times as to whether Eleanor should trust him. The Victorian historical details were beautifully done and I feel I actually learned some interesting history just reading this novel. It is an engrossing read and I looked forward to ending each day with the continued story. 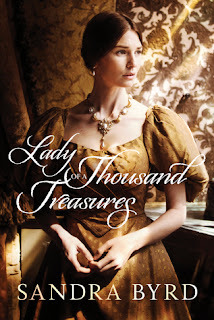 I think that other fans of historical fiction will enjoy Lady of a Thousand Treasures as well. The year is 1722. A child is born on the isolated island of Ospo off the Georgia coast. In the midst of General Oglethorpe’s vision for this new land, and the emerging townships of Frederica and Savannah, four lives entwine together on this island like the woven fronds in a sea-grass basket – the orphaned Irish girl born free of hate or prejudice, a war-ravaged British soldier seeking forgiveness and absolution, a runaway Gullah slave girl desperate for a word of kindness on the wind, and a Creek Indian warrior searching for answers about this intrusion onto his homeland. What they learn from this wild innocent girl, and from each other, will change their lives forever. 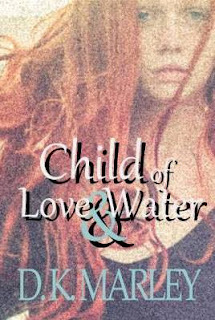 A new birth, a new country, and the elements – Water, Wind, Fire, and Earth – entwine to teach one thing: Love conquers all. Love sees beyond borders. There is no ignorance in love. D. K. Marley is a historical fiction writer specializing in Shakespearean themes. Her grandmother, an English Literature teacher, gave her a volume of Shakespeare’s plays when she was eleven, inspiring DK to delve further into the rich Elizabethan language. 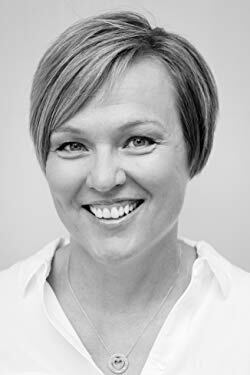 Eleven years ago she began the research leading to the publication of her first novel “Blood and Ink,” an epic tale of lost dreams, spurned love, jealousy and deception in Tudor England as the two men, William Shakespeare and Kit Marlowe, fight for one name and the famous works now known as the Shakespeare Folio.She is an avid Shakespearean / Marlowan, a member of the Marlowe Society, the Shakespeare Fellowship and a signer of the Declaration of Intent for the Shakespeare Authorship Debate. 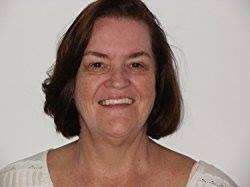 She has traveled to England three times for intensive research and debate workshops, and is a graduate of the intense training workshop “The Writer’s Retreat Workshop” founded by Gary Provost and hosted by Jason Sitzes. She lives in Georgia with her husband and a Scottish Terriers named Maggie and Buster. For more information, please visit D.K. Marley’s website. You can also find her on Facebook, Twitter, Pinterest, and Goodreads. 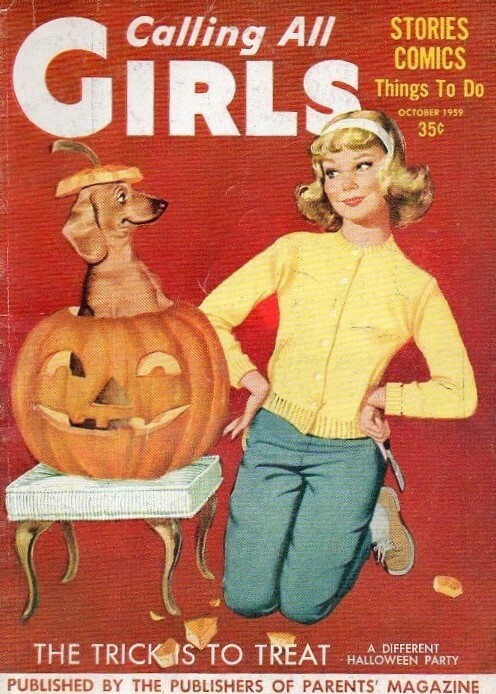 I hope you are having a good week and enjoying Fall weather and Halloween plans! I found a cute video to share with you today. This features Doxie Din again. In this video he dresses up and sells pumpkins -- and watermelons! My favorite part of the video is when he actually gets some watermelon as a treat. My Momma has no talent for carving pumpkins so I do not have much experience with jack o' lanterns. I do, however, like watermelon! I would love to hear from you in the comments. Have a wonderful weekend! A Crafter Knits a Clue is the first book in a new series, A Handcrafted Mystery. Sammy (Samantha) Kane has moved back to her hometown of Heartsford, Wisconsin. Her best friend Kate passed away and she has decided to continue Kate's work by running her store, Community Craft. When another craft store owner is mysteriously murdered, Sammy works together with her sister and cousin to solve the case. This puts her safety in jeopardy and does not please police detective (and possible romantic interest) Liam Nash. This is a great start to a new series! The first few chapters have a lot of needed exposition about Sammy and her friend Kate and Community Craft, Kate's store that Sammy has taken over. The mystery happens early on and the pace really picks up then. The mystery aspect of A Crafter Knits a Clue is especially well done. There are a number of viable suspects and lots of little twists and turns. I loved the idea of Sammy, Heidi, and Ellie continuing their childhood sleuthing as S.H.E. (their childhood detective agency name). This lent a sort of Nancy Drew quality to the story that was a lot of fun. I also liked the detecting the women did in Ingrid's spooky old house. (Ingrid was the murder victim.) It was very atmospheric and my favorite part of the mystery. The relationship between Sammy and Liam is appealing and their banter is fun to read. I look forward to reading more of their story in upcoming books in this series. The small town was charming and I could picture a number of the settings just from the descriptions in the book. Of course, I also loved Sammy's Golden Retriever, Bara! 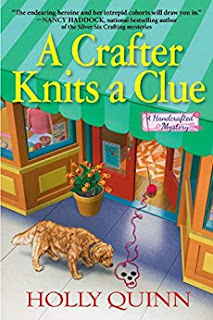 I recommend A Crafter Knits a Clue for anyone who enjoys cozy mysteries. Readers who enjoy small town settings, crafting, or dogs will find the book especially appealing. I received a copy of this book from Netgalley and Great Escapes Book Tour. For Napoleon’s stepdaughter, nothing is simple — especially love. 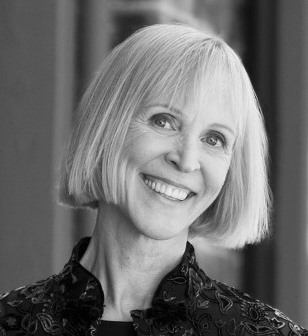 Sandra Gulland is an American-born Canadian novelist specializing in historical fiction. 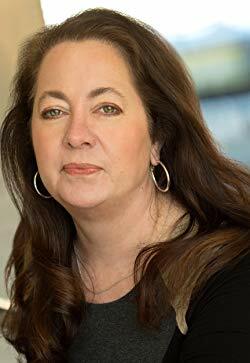 She is the author of the internationally bestselling trilogy of adult books based on the life of Josephine de Beauharnais Bonaparte, as well as two novels set at the court of Louis XIV, the Sun King. Her books have been published in sixteen countries, translated into thirteen languages, and sold more than a million copies worldwide. 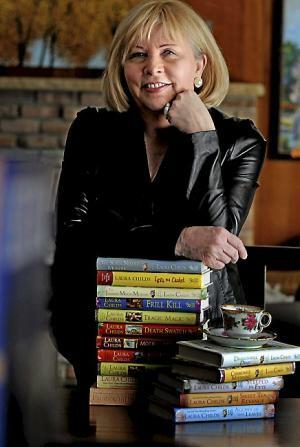 Sandra Gulland’s novels include The Josephine B. Trilogy, The Shadow Queen, Mistress of the Sun, and The Game of Hope. 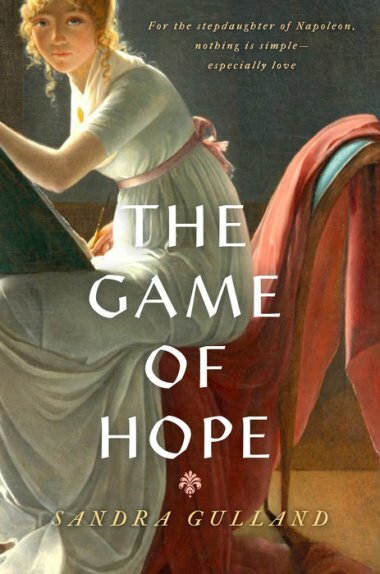 During the Blog Tour we will be giving away a copy of The Game of Hope to one lucky reader! To enter, please enter via the Gleam form below. – Giveaway ends at 11:59pm EST on October 22nd. You must be 18 or older to enter. Is it cool and Fall-like where you are? It is still very hot where I am, with temperatures up to 90 degrees in the afternoon, but I am thinking about Fall and looking forward to cooler weather for good long walks ahead. I spent some time looking at dachshunds playing in leaves on Youtube. I found a few videos to share with you! 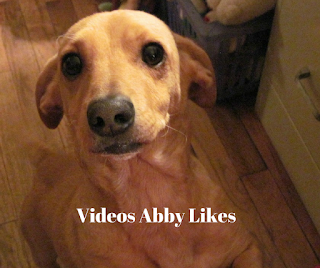 Meatball the dachshund helps rake leaves in this video called Leaf It To Meatball. A cute dachshund named Sasha plays in a big pile of yellow leaves. I love the Fall colors in this video! I hope you are having a great Fall and hope you enjoyed these videos. Have a wonderful weekend! Elementary school music teacher Callie Stevens thinks she’s finally figured out God’s plan for her life—she even made a list to keep her on track. Moving in with her brother and reconnecting with her ex-boyfriend are at the top of the list. What’s not on the list is running into her childhood crush, Ryan. God wanted her to connect with Kyle, right? Trying to figure out God’s plan is hard enough. But a dating-averse older brother, the young blonde who adores him, a pregnant best friend, and Callie’s continual mishaps make her wonder whether her best laid plans were truly God-inspired. Now available from Elk Lake Publishing! Summer Plans and Other Disasters tells the story of Callie, who moves home for the summer to live with her brother and pursue her ex-boyfriend Kyle. She has her summer neatly planned out. But things happen to make her re-think her plans, including meeting her long ago crush, Ryan, again. This is such a fun, sweet read! Callie is a very likeable and real character. She is a music teacher and a bit of a klutz. 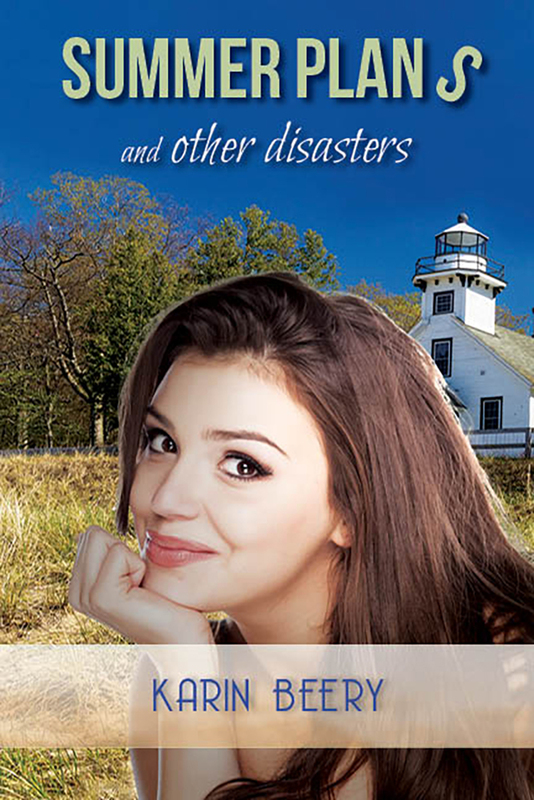 Her attempts to help her brother Jack as he works to maintain the lighthouse where they live and the surrounding park almost always end in disaster. I loved the other characters too -- Callie's brother Jack, his best friend Ryan, Stacey (who has a crush on Jack), and Callie's friend Mae. The atmosphere of the book was especially nice. I felt like I spent a few hours enjoying life in a lighthouse in small town Michigan. I also really liked the Christian message of this novel. Callie is a planner but she learns to let go and trust God. 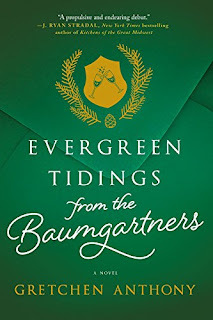 The author, Karin Beery, handled the message deftly and with a light touch. The strength of the characters and the engaging plot were always at the heart of this novel. This story is told from several characters' perspectives, and that took a few chapters to get used to. But I soon was interested in what would happen next and I enjoyed getting to know the different characters via alternating perspectives. I recommend Summer Plans and Other Disasters for fans of Christian fiction, women's fiction, and contemporary romance. It would make a fun weekend read or vacation book. Karin wrote her first novel in 2007 to cope with her husband’s cancer diagnosis (no worries – he’s cancer free now!). With the support and encouragement of her family, she submitted that manuscript. That particular manuscript has not been published yet, but Summer Plans and Other Disasters, her first published book, releases in September 2018. Karin writes contemporary and speculative fiction stories with a healthy dose of romance, but she’s also expanded her repertoire: she writes feature stories for the local paper, copy material for businesses, and blog posts for herself and others. She even edits (offering copy editing, fiction editing, and critiques through Write Now Editing Services) and teaches (she’s the Substantive Fiction Editing instructor for the PEN Institute and can be found around the country teaching writing and editing courses at conferences and at her local college). When Karin’s not reading, writing, or editing, she enjoys cooking and baking. She plays the piano and sings (the key of E, please). She kayaks with her husband in the summer, watches football in the fall (Go Blue! ), and enjoys Christmas lights all winter long. Shy but extroverted, Karin adores her nieces and nephew and loves spending time with her family. 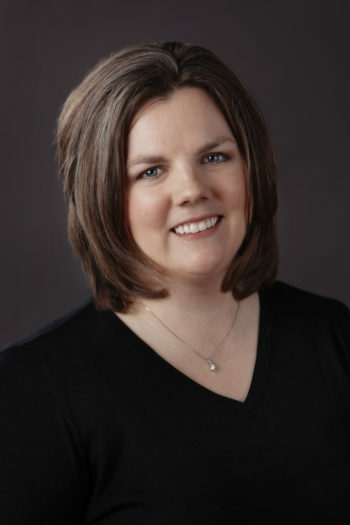 Learn more about Karin at: karinbeery.com. An exploding Mardi Gras float has got to be the strangest murder weapon scrappy sleuth Carmela Bertrand has ever encountered in this latest Scrapbooking Mystery from the New York Times bestselling author. It’s Mardi Gras in New Orleans and scrapbook shop owner Carmela Bertrand is excited to be attending the Pluvius Parade along with her best friend Ava. Carmela’s ex-husband Shamus rides by the duo on his float at the head of the parade, when suddenly the revelry turns to disaster. Shamus’ float crashes and explodes, and although Shamus escapes unhurt, a member of his krewe is killed. Carmela and Ava plunge into an investigation of the krewe-member’s death, but as they dig deeper it starts to look less like an accident and more like a murder….and Shamus seems less like a victim, and more like a suspect. 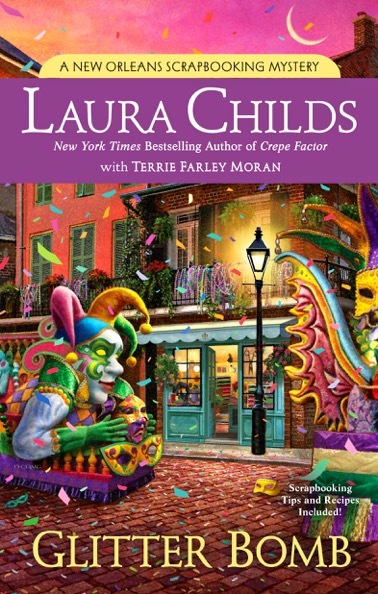 Carmela Bertrand, who owns a scrapbooking shop in New Orleans, is drawn into a mystery when she sees a float explode at a Mardi Gras parade. A friend of her ex-husband, Shamus, is killed in the explosion, and Shamus asks her to help solve the mystery. What rollicking fun Glitter Bomb is -- much like Mardi Gras itself! I love New Orleans and the authors got the local detail absolutely perfect. Reading this novel was like visiting the city at the height of Mardi Gras. I have read several of the books in this series, but not all, and this book works well as a standalone. Carmela is a fun character. I enjoy reading about her scrapbooking shop and her amateur detective work. The detective work is especially interesting since her boyfriend, Edgar Babcock, is a police detective. I like their relationship and enjoyed their scenes in this book. Carmela also has a wacky best friend, Ava, and two lovable dogs. This mystery was complex because there were so many characters and suspects. (I would have liked a cast of characters list to keep them all straight!) There were some clues about the murderer and I guessed before the denouement. Without giving spoilers I will add that the scene where the murderer is caught is my favorite in the book -- very atmospheric and suspenseful! There were also sections at the back of the book with scrapbooking tips and New Orleans recipes. I recommend Glitter Bomb to fans of cozy mysteries, and especially to anyone who loves New Orleans. You are in for a fun read! Short-listed twice for The Best American Mystery Stories, Terrie Farley Moran is delighted to introduce mystery fans to the Read ’Em and Eat café and bookstore, which debuted with Well Read, Then Dead . followed by Caught Read-Handed and Read to Death released in July of this year. The only thing Terrie enjoys more than wrangling mystery plots into submission is playing games and reading stories with any or all of her grandchildren.